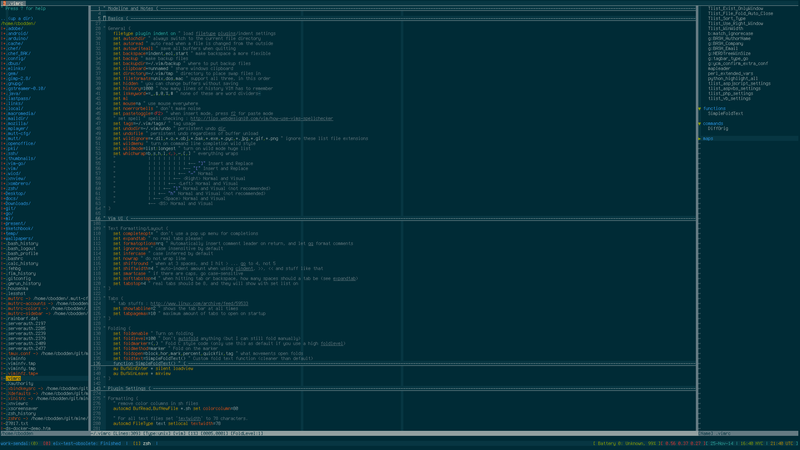 just felt like posting a screenshot of my term while in vim. EDIT 20141126 as per Alex : here are the plugins i use. here is a copy of my vimrc. yea. i am on linux (gentoo) mostly and with smaller resolutions it gets real painful but works on bigger monitors. weird. so for some reason adblock pro blocks my pictures. i have to figure out why abp is not letting my images show up. i dont want people to whitelist my site, i would rather eliminate the contributing factors. cool! could u share your vimrc dude? thanks! gladly. ill edit the post to add that info.